In the midst of today’s busy world where everyone, especially the generation of millennials now finding their way around this world, it can be quite difficult to figure out God’s will. What can one do in line with what God wants to do? This can be a very difficult question to answer-pursuing your purpose that is, hopefully, in sync with God’s purpose for you. Finding God’s will entails a certain uncertainty. One can never be totally sure that one is following God’s will-but there can certainly be signs that one is on the right track. Signs can be seen when you reflect, through prayer, on your decisions. God nudges you in the right direction, helping you to discern which path to take. How can one know if it is a sign from God or not? Just like any good relationship, where on person knows the other person well, so it is with God: if you nurture your relationship with Him and are familiar with his voice and presence in your life, it will make it a lot easier for you to know when it is Him leading you or when it is simply other voices telling you where to go. Reading Scripture also helps a person understand how God works in people’s lives. While the stories there may seem old, outdated, or almost in the realm of the seemingly impossible, they still hold some insight as to how God intercedes and interacts with certain individuals. Partnering with or accompanying others who are also trying to find God’s will in their lives will also help. As in any endeavor, support from friends and family will always help you persevere and reach your goal rather than if you were doing it alone without any help. A community that will also help you reflect on and understand what has been happening in your life will ultimately also help you find God’s will more in your everyday, as we can sometimes have a “blind spot” or have a tendency to get stuck-other people now come in and offer a fresh perspective and new ways of looking at what’s been happening in your life. Lastly, a sign that you are following God’s will is a certain peace that comes with your decision, as if God were confirming your decision by gifting you the feeling of peace from the Holy Spirit. Know as well that there is something greater at work in your life, and that nursing this relationship with God will allow you to be more attuned to what is happening and where you are being called. Christians believe that this world was not made by a random God, but rather by a gracious loving God for all of creation, and so we can see this God reflected therein and get to know him more through this world. Finding your purpose in life brings a sense of meaning as well: you do things not simply because you want to, but because ultimately, you are working for something bigger, sometimes even bigger than yourself, your ambitions, and your goals. It keeps you waking up and going each morning, and when the going gets tough, a gentle reminder is sometimes all it takes to remind you of why you are doing something, despite its difficulty and stress. At the end of the day, it is all worth it. Carl Mathis, a preacher, (Holy Ghost Tabernacle Church in Cutler Bay FL) and an author, with the gift of influencing and deeply touching the hearts and souls of those who need to hear spiritual truth in practical terms. Mathis now imparts a profound message for all who desire to be spiritually fortified and remain goal–oriented. In this little guide to an abundant work, home, and spiritual life, he instructs that the sum of your life is in the choices that you make. If you choose wisely, your life will be rich and rewarding. If you choose with a plan in your head and God in your heart, you will never lose. Carl Mathis doesn’t want you to settle for less than you are capable of or less than what God wants for you. Mathis teaches ageless biblical principles that God reveals the keys to personal success each and every moment of every day. He doesn’t make excuses for his struggles—he uses them as stepping-stones to get to higher levels in his God-ordained destiny. Carl Mathis doesn’t know what it means to give up. Overcoming the obstacles of losing a spouse, having to raise three successful boys on his own and manage to write several books, he never managed to find the time to make excuses. Through his triumph over personal troubles, he strives to not only inspire and uplift, but to encourage people worldwide to find their purpose and begin walking in it. For booking info or to find out more about Carl Mathis, visit www.carlmathisbooks.com or email info@carlmathisbooks.com. Don’t y’all feel the fire?! I will be away during the holiday of giving thanks and will see all of you in December. Peace~ Blessings~ and Abundance. Remember to always treat yourselves special. Happy Monday, warrior women of essence. I hope you all have a great week fueled by passion, compassion, service and an abundance of blessings! This journey to wholeness was never promised to be a bed of roses. We are spiritual beings living a human existence and so we are in constant need of spiritual replenishing. I don’t know how you do it, but I do it by Bible, through the stillness of mother nature, prayer, practice, meditation, readings and daily doses of motivation by way of my inbox from spiritual teachers around the globe. 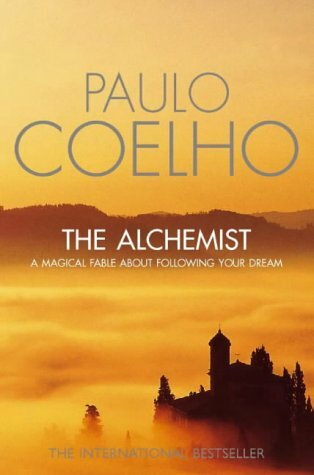 I remember bypassing the purchase of The Alchemist by Paulo Coelho, years ago, for whatever reason. 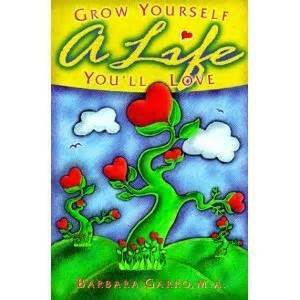 After hearing him speak as a guest on Oprah Winfrey’s Super Soul Sunday, this book is definitely on my to-do book list. :) I wanted to share some “heart” quotes from The Alchemist author that resonated with me. If you have read this inspirational guide, please share your experiences in the comments section with us as well. When you want something all the universe will conspire to help you get it. God is going to ask you only one question; did you love enough? Find the courage to follow your dreams, regardless of your fears. I can give you ten thousand explanations of why we’re here but there is no good explanation- it is a mystery. Look at everything like you’re seeing it for the first time and you learn. Oprah Winfrey confessed her fear of not fulfilling what she knows is her supreme potential. Always listen to your heart even when it scares you. Do you have the courage to listen to your heart?